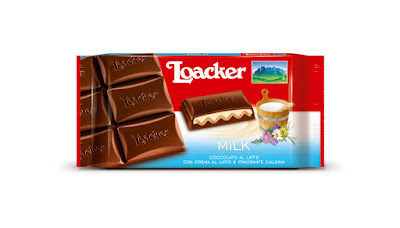 Indulging in Loacker chocolate specialties is the perfect way to celebrate the new year with friends and family. 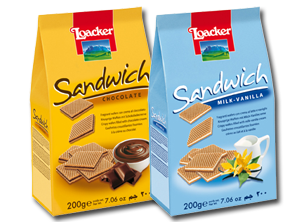 I had recently shared an assortment of Loacker chocolate bars, wafer cookies and biscuits with my relatives over the holidays, and they were excited to try them and pair with coffee. There were a few items that were addictive, including the Crème Noisette fine milk chocolate biscuits with hazelnut cream and the Fogliette crispy milk chocolate specialty. 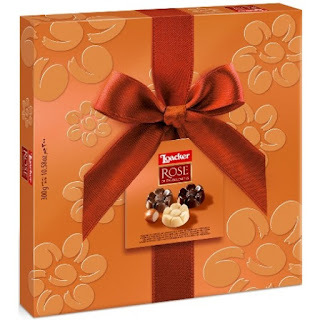 The favorite by far was the Rose of the Dolomites 24-pack, which is packaged in a beautiful gold box containing original, white and dark chocolate. Since I love milk chocolate, this was my favorite, sweet and creamy with hazelnut cream. It's impossible to eat just one! Quadratini Hazelnut, Tiramisu and Raspberry-Yoghurt bite size wafer cookies are the perfect little snack to tie you over between meals. I keep these on my office desk and reach for them when I get a sweet craving! Sandwich Milk-Vanilla and Chocolate crispy wafers (with 71% cream) are great for sharing and snacking with friends, preferably with coffee, tea or hot chocolate. Loacker has so many different options and varieties, whether your favorite is milk chocolate, dark chocolate, or hazelnut. 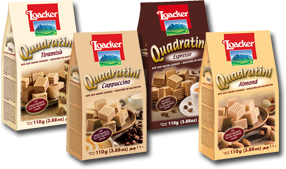 Look for Loacker at your local Whole Foods, Trader Joe's, Duane Reade and Eataly, and World Market stores.